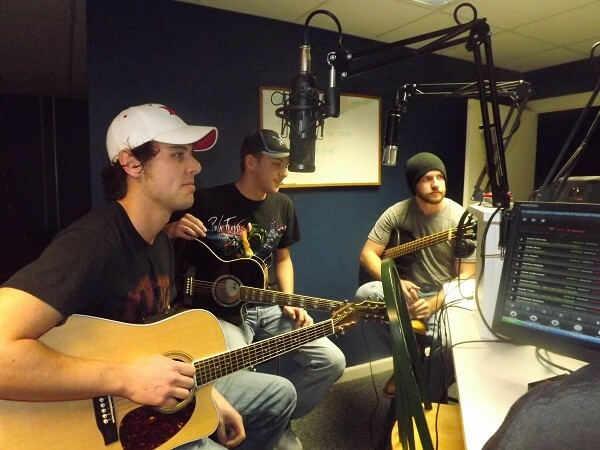 Recently formed in early 2012, Wreckless has already made its way into the local country music scene by finishing third in a local news station contest for best area country band. They have been working hard to create their sound and image. With this crew of young musicians each coming from different musical backgrounds, allows the band to add their own edge to their sound. They bring energy to the stage through their music and performance. There is never a dull moment when Wreckless takes the stage. The band has made their way across the Mitten State appearing at numerous venues and stages such as Comerica Park, The Machine Shop and Toby Keith's I Love This Bar & Grill. They are grounded by realizing they are new to the game, but with practice and determination they create a large amount of potential. Josh Sharrow, Josh Rickett, Chad Brick, Rob Clothier & Shawn Doyle in the Last Choice Country studios.